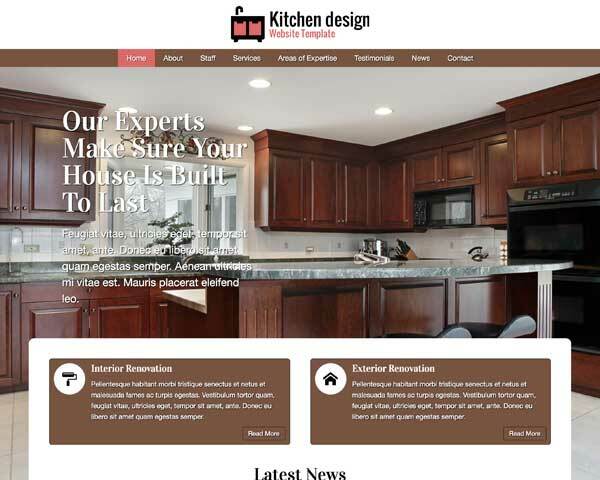 With the Home Repair WordPress theme, we've made it easy to quickly put together a professional website for your home improvement business. Display an online portfolio of your projects to show clients what your experienced team can do for them. 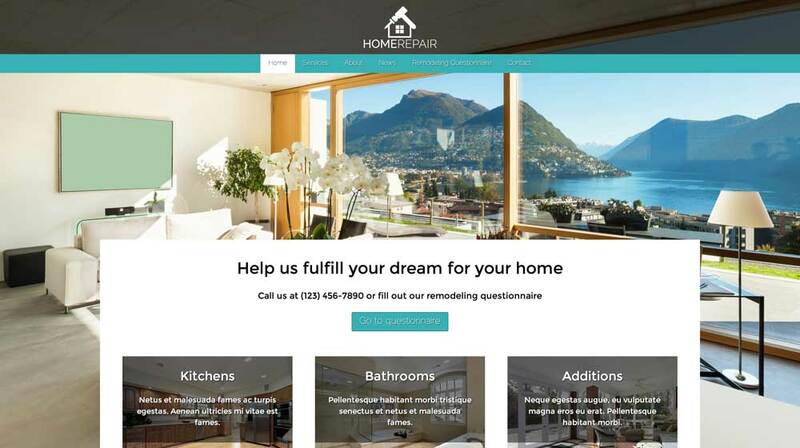 Build a whole new client base when you beautifully present your home improvement business online with the Home Repair WordPress theme. Set up with pages for your company profile, client testimonials and sleek lightbox image galleries for your projects, this mobile-optimized template makes it simple to build a complete website just by replacing the demo text and photos. 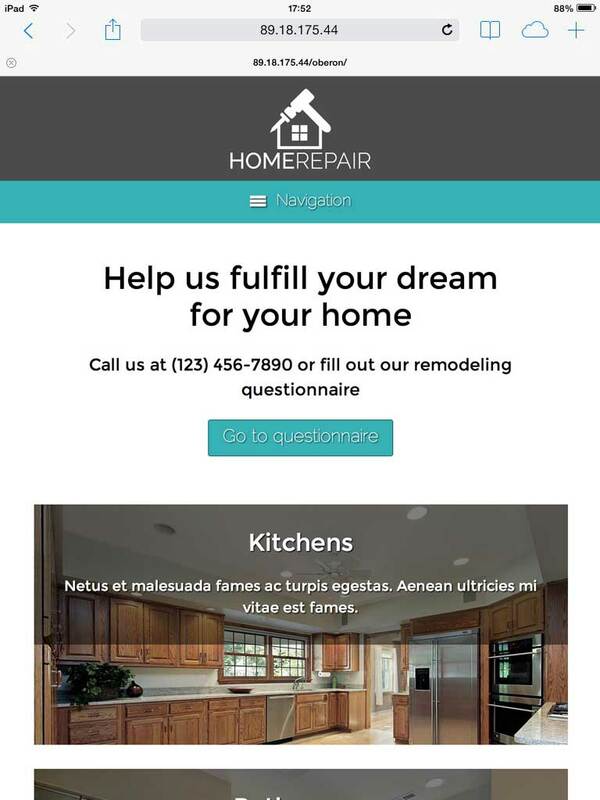 Useful business features for home repair contractors are included, like a customizable remodeling questionnaire form, integrated social media options and a simple SEO manager to optimize your site for higher search rankings. No coding skills are required to customize this premium WP theme using our visual front-end editor. You'll be able to change colors, style text and maintain your site with just a few clicks. 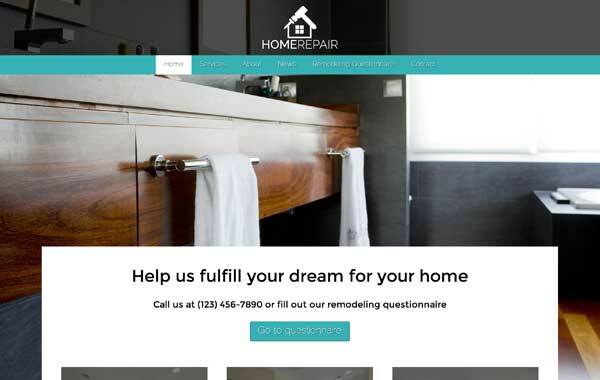 Try the Home Repair WordPress theme free for three days and see how easy it is to create an impressive online portfolio for your home renovation work. 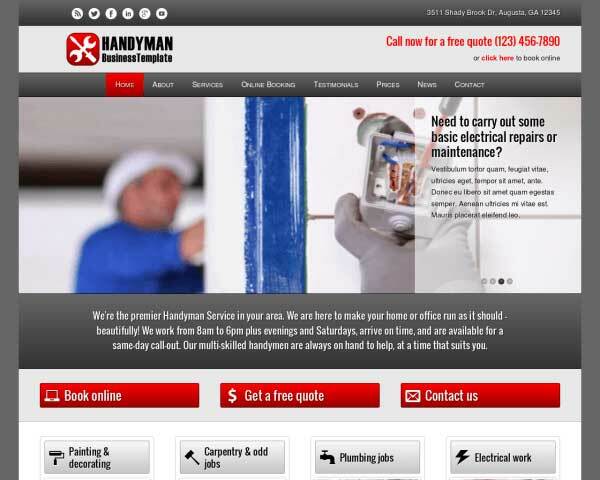 Like all of our themes, this Home Repair WordPress Theme comes with a blog all set up and ready for your content. 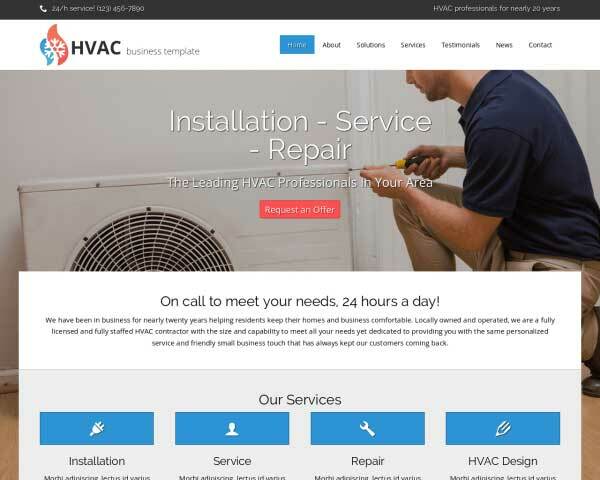 Ideal for any renovation website, the Home Repair WordPress Theme is made specifically with the needs of the contractor in mind. The contact page on this WordPress theme for contractors features an integrated Google map and a customizable contact form. 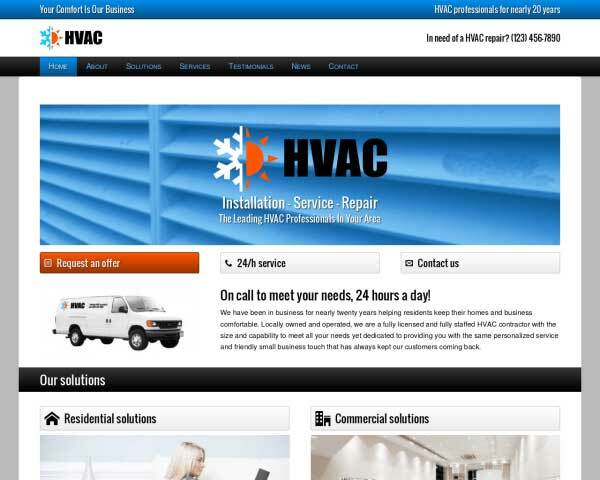 The homepage of this WordPress theme for contractors is designed to present visitors with an appealing overview your services along with quick navigation to more detailed pages. An important feature is to be able to redirect people to the most popular social media platforms you use. 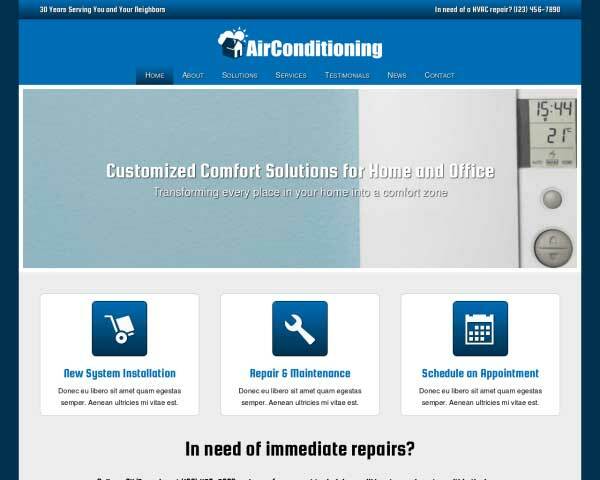 It's only natural that we've included these in the Home Repair WordPress Theme. 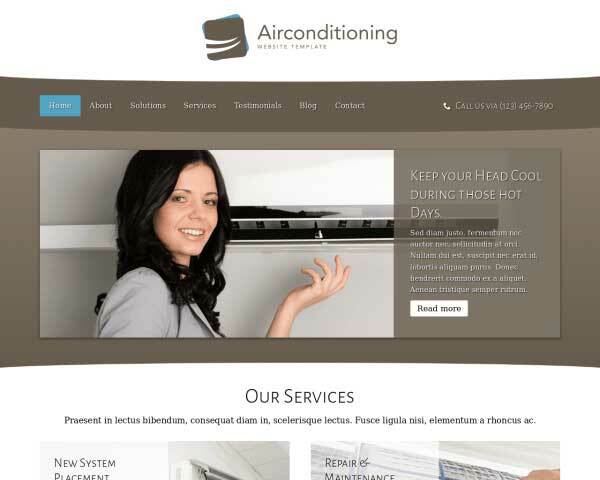 A great way to give your website a personal touch is to introduce your team of contractors. 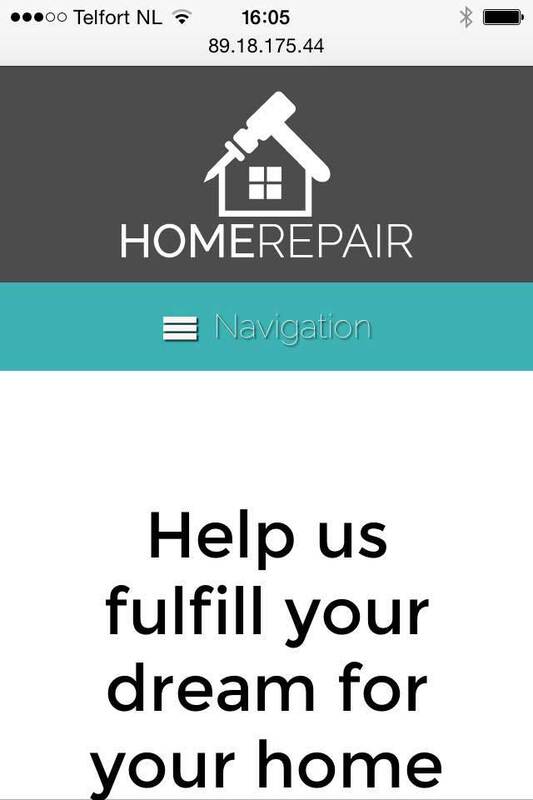 We've set up a page on the Home Repair WordPress Theme with spots for profile pics and short bios. 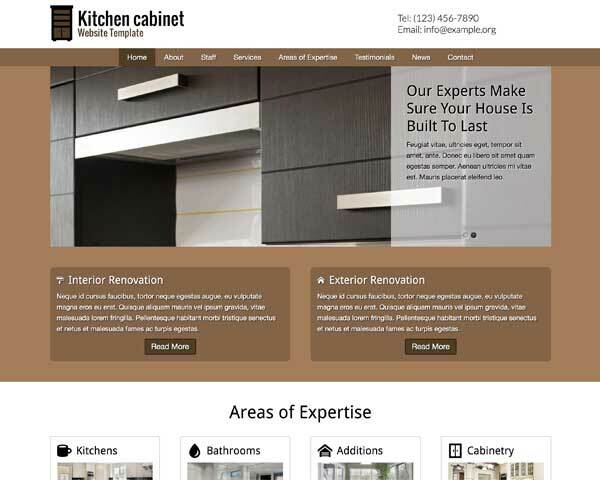 Home owners use a variety of handheld devices to search online for renovation services. 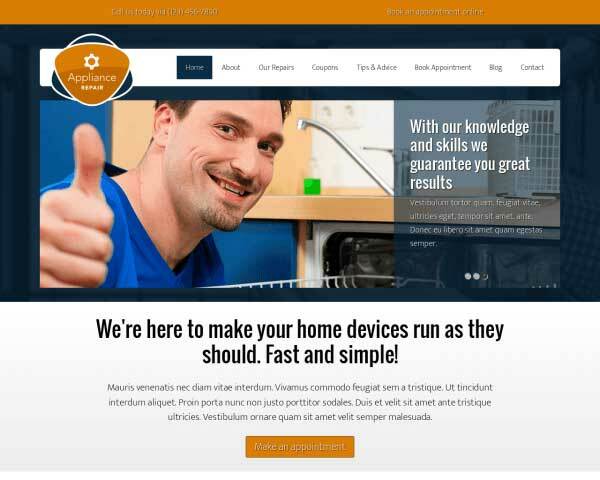 Make sure that visitors viewing your website on smartphones and tablets enjoy the same professional design and functionality of the desktop version when you build your site with the responsive Home Repair WordPress theme. Right out of the box, this mobile-optimized website template automatically adjust the layout of your content to display beautifully on any screen size. Mobile visitors can just tap on your phone number to dial or tap your email to open a draft.